When organizational cultures need change, what is the best way to implement that change? Change doesn’t happen easily. First there needs to be a determination on what should be changed, as part of the company’s business strategy. “Culture” is a notoriously broad concept, but it is generally agreed to consist of the values, norms, beliefs and assumptions an organization operates by. Some U.S. companies who have suffered from turmoil in the past, such as General Electric and Uber, need change in some of those beliefs and assumptions. General Electric may need more focus. Uber may need to tone down the aggressive culture that led it to disregard regulators, competitors, and its own drivers and other employees, and encourage more productive work among all these groups. First, up to 25% of managers need to model the business leadership change. They don’t preach about it (or at least not solely): they do it. They make sure their divisions are operated differently. As a general rule, this core management group needs to manage something the culture agrees is important. It can, as Entrepreneur points out, by a wide array of importance. A profit center certainly counts. So does a sales or marketing group dealing with key clients, or a development group with cutting-edge expertise. If the results from the change are good, it needs to be publicized. From there, a wave will start to grow. Internally, more managers and employees will take notice of the change 6 to 12 months from when it begins to occur. 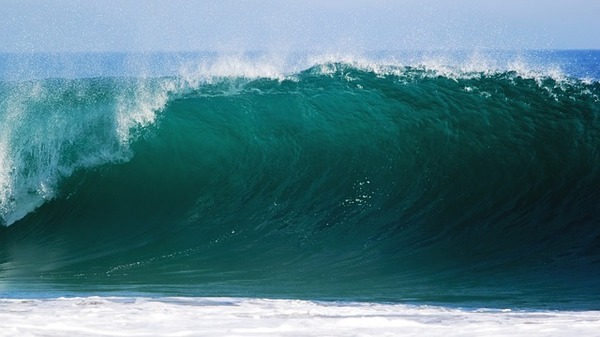 Successful change builds up like a wave. From there, a deeper and wider wave will build. Managers also need to determine what their early change metrics will be. If management wants to modify a company whose aggressive culture have driven it, they must also watch to see that it doesn’t lose all competitiveness and aggression. The changes shouldn’t cut too deep or lead to unexpected and unwanted cultural changes. It’s also important to know what not to do in changing culture. Forbes points out that enlisting the human resources or marketing departments to promulgate new cultural values alone won’t really work. Why? Because they need something substantive to communicate. Without that, their efforts may be seen as mere sloganeering. Better results from those key profit centers, core clients, or leading development team need to be established first. That can win respect and constitutes something that can be publicized and promulgated. It’s also possible that established cultural groups in a company that needs change will not change quietly or easily. They can valorize the old culture. They can form regressive units that don’t change, or mount skirmishes that make change difficult for other groups or the company overall. That possibility, combined with tasking HR or marketing to promulgate change alone, can lead to the forces for change being defeated. Cultural changes in organizations may not happen easily or quickly, but it certainly can happen. First, upper management needs to determine the changes that need to be made. Second, they need to get buy-in from a limited, but important, set of managers. From there, they need to measure cultural change and publicize change for the better.